Throughout teenager’s lives, the hazards of drug and alcohol abuse are emphasized both in and outside of school. However, students rarely realize the close connections Godwin has to addiction and addiction-related deaths. 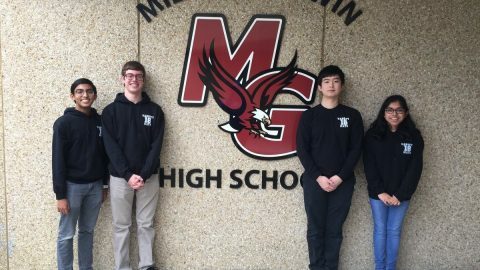 In April of 2018, No Eagle Left Behind, a group created to promote wellness in the Godwin community and beyond. set up a display in the commons to show how close to home addiction can hit. The display is a wall covered with shoes that represent drug or alcohol related deaths in Henrico County since 2016. 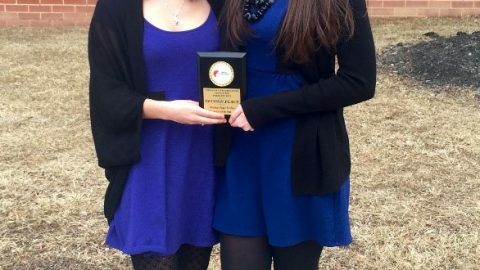 Project Purple, a group of parents from Godwin and its feeder schools, came together to discuss the problems of sub­stance abuse amongst teenag­ers in Henrico County. In turn, they proposed the idea of the wall to No Eagle Left Behind. The idea originated from the McShin foundation, a group that aids addicts in recovery. To honor victims of addiction, the McShin foundation created the White Marker Project. For each drug or alcohol related death in Virginia, a white cross is displayed on a wall at a Midlo­thian Church. Godwin substitut­ed crosses for shoes. Godwin Principal Leigh Dunavant spoke about the decision to showcase shoes as opposed to crosses. “We chose shoes because it represents somebody [who] walked in those shoes, lived in those shoes. We wanted some­thing that would be personal and have meaning to kids,” said Dunavant. The wall features 78 total pairs of shoes, each showing the impact addiction can have on young people’s lives. Three of the shoes are the exact pairs the victims once wore. 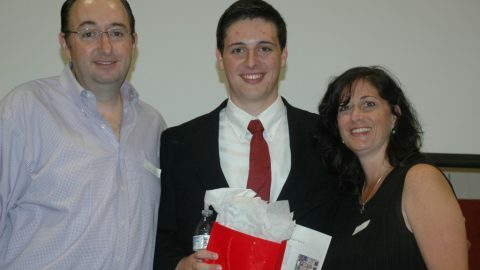 In the past year, the lives of four Godwin alumni were claimed by substance abuse. Two of the four deaths were a direct cause of prescription drug abuse. The other two were because of cirrhosis of the liver, due to a mix of codeine and alcohol leading to an overdose. “Kids think they can drink a lit­tle alcohol or smoke a little weed in high school and they won’t be addicted,” said Dunavant. Although this mentality exists among teenagers, this mindset proved fatal to the victims. 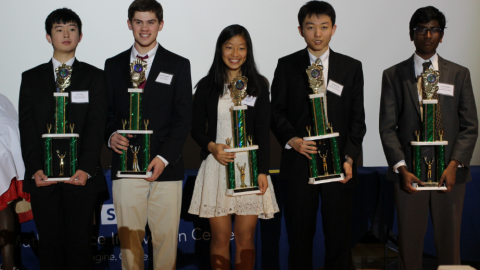 Godwin is not the only school to showcase this display. Feeder schools such as Pocahontas Middle School have set up simi­lar displays to honor the victims of drug overdose. Since 2013, there has been at least one drug or alcohol related death in the Godwin community each year. The wall of shoes is part of a bigger goal to stress the harm of drug and alcohol abuse. As a part of that goal, the school introduced Red Ribbon Week. Godwin observed Red Rib­bon Week, an annual national campaign about alcohol, drug, and tobacco prevention aware­ness, from Oct. 22-26. This year’s focus was to ed­ucate parents and youth about ways to avoid using and abusing drugs or alcohol. 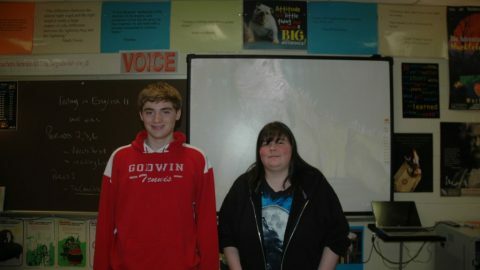 During the week, videos of personal testimonies of sub­stance abuse were shown in homeroom and sent out to parents. 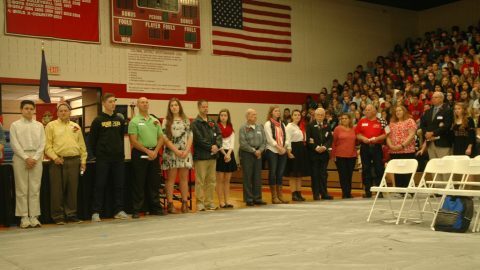 At lunch, guests, including parents of the victims of sub­stance abuse came to speak to the student body. One of such parents was Jenny Derr, a volunteer and committee member of Project Purple. Derr lost her son, Billy Derr, to a heroin overdose in April of 2016. Dunavant seeks to use the Wall of Shoes to dissolve com­mon myths about substance abuse. “The biggest myth about ad­diction is kids and families don’t think it will happen to them,” said Dunavant. 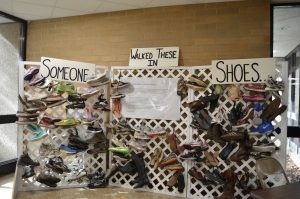 The goal of the wall of shoes is for students to recognize how real substance abuse is. Hope­fully, students will make better choices as a result. 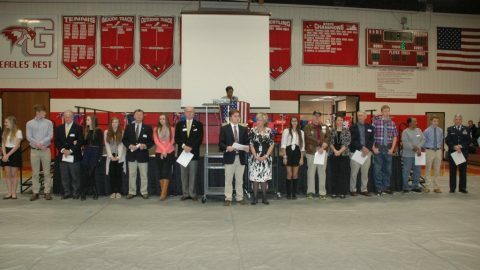 On Nov. 11 Godwin had their annual Veterans' Day Assembly.